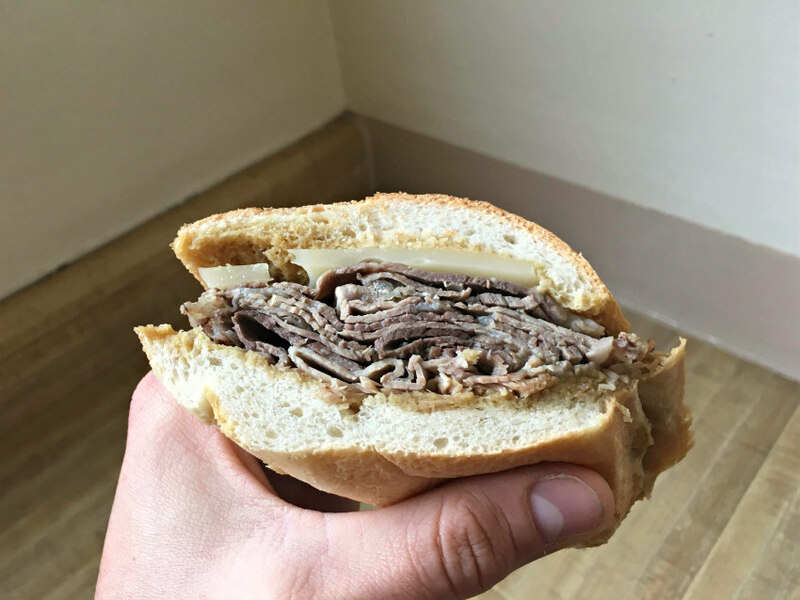 Who Really Makes the Better French Dip, Cole's or Philippe's? Home Dining Who Really Makes the Better French Dip, Cole’s or Philippe’s? 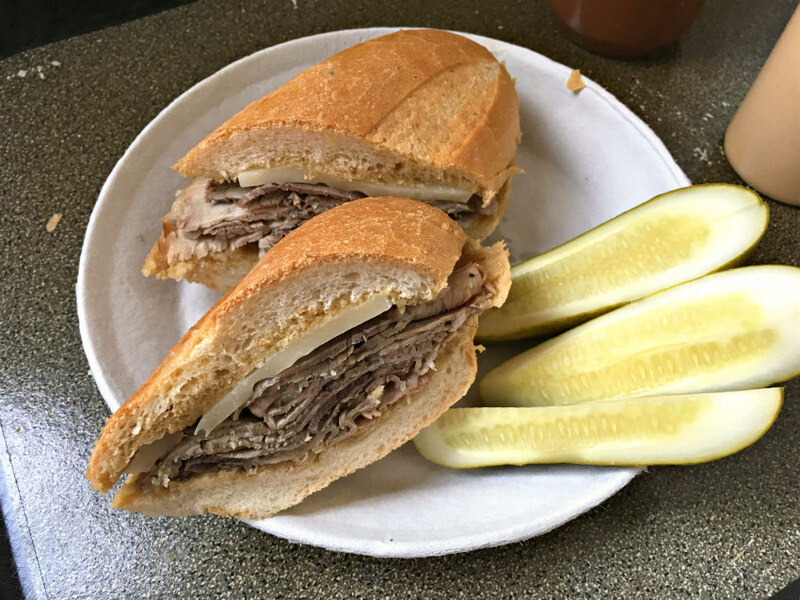 Who Really Makes the Better French Dip, Cole’s or Philippe’s? Cole’s invented the French dip. 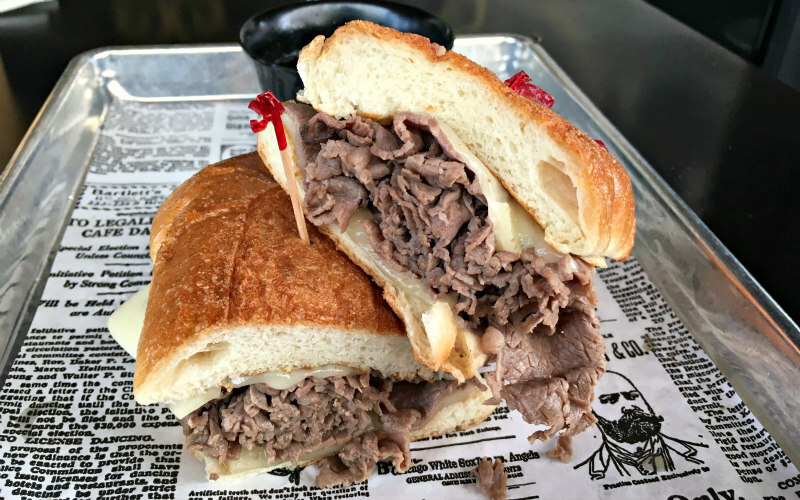 Obviously they did, it says it right there on their website: “Originators of the French dip.” Why would they have any reason to lie about that? Philippe’s also invented the French dip. It says it right there on the website: “Home of the original French dipped sandwich.” You can’t tell fibs on the internet, it’s against internet law. The iPolice would have arrested Philippe by now if it wasn’t true. The only rational answer is that both of them invented the French dip at the exact same moment down to the fraction of the millisecond, making physicists everywhere question the spontaneity time and space. There, it’s settled. You’re welcome. The slices are cut thick, which gives it that old-timey rustic feel you’d expect from at a place that throws sawdust on the floor and serves eight-cent cups of coffee. It’s tender-ish, and not cooked to death-ish, which is about all you can hope for. The real x-factor here is the aromatics. You can tell this meat was cooked with a ton of vegetables, which perfumes the whole sandwich and gives it that extra layer of complexity. It’s the little things in life that bring the most joy. They advertise their beef as “prime” but someone really needs to do an audit on that. I have my doubts. Like if this beef is USDA certified prime, then David Blaine can actually levitate (not saying he can’t though). The meat is shaved really thin, and if it was chopped finer it could pass for some underseasoned cheesesteak filling. The only discernable taste is salt, but there’s not even enough of that. It’s a French roll that would totally pass as a dense Mexican bolillo in a blind taste test. Which is a good thing. It’s sturdy and lets all those pan drippings penetrate into the bread without ever soaking through it. The denseness of the bread is like a layer of security between your hand and meat juice. It has that crusty on the outside, fluffy on the inside duality that you would generally look for in a good sandwich roll. But this isn’t generally. When you dip the sandwich in the side car of jus, the interior of the bread soaks the liquid up immediately and turns to mush. They dip the bread for you instead of giving you a cup of broth, which I was conflicted about at first. I thought I wanted to control my own sandwich future. That was a stupid thing to think. I should have always put my faith in the sandwich artists at Phillippe. The jus has a good amount of beef fat in it which carries the salt and aromatics even further. It soaks into the roll about ½ centimeter and creates this absurdly flavorful layer of, what I like to call, bread goo. I can appreciate the interactive aspect of dipping your own sandwich. It’s fun. It breaks up the monotony of chewing. But it doesn’t really add anything, especially when the jus in the cup tastes like equal parts Lawry’s seasoning packet and lukewarm water. I found myself trying to splash beef juice onto the sandwich to try and mimic the Phillippe bread goo effect but it didn’t work out. Cheese is optional. Mustard isn’t. 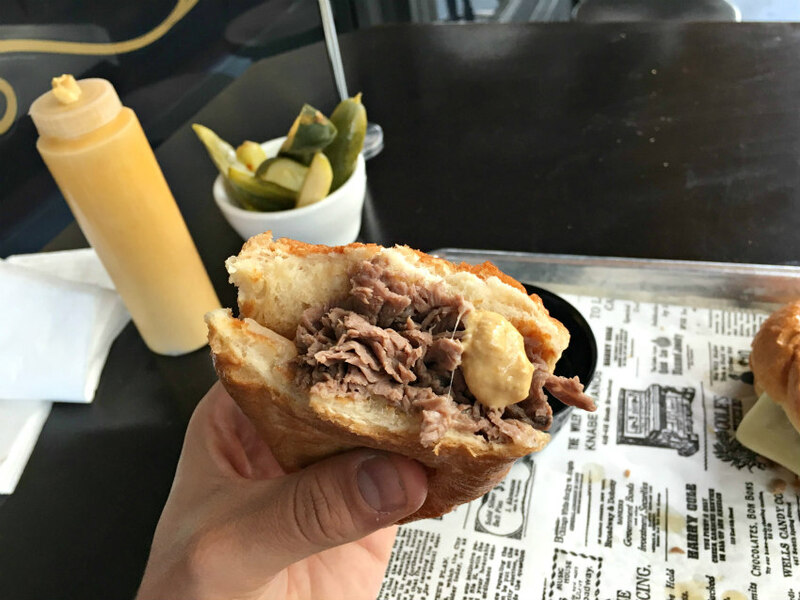 The mustard at Phillippe’s is stupidly hot—one drop too much and your body goes straight into crisis mode—but the horseradish in it totally sets off the flavor of the beef. Squirt a little bit onto the layer of bread goo to create spicy bread goo. You’ll be happy you did. Part of me wanted to steal a bottle of Cole’s mustard and take it with me to Phillippe’s. Both of them are equally hot, but the stuff at Cole’s has more texture, more salt, and more acidity. It’s just better. 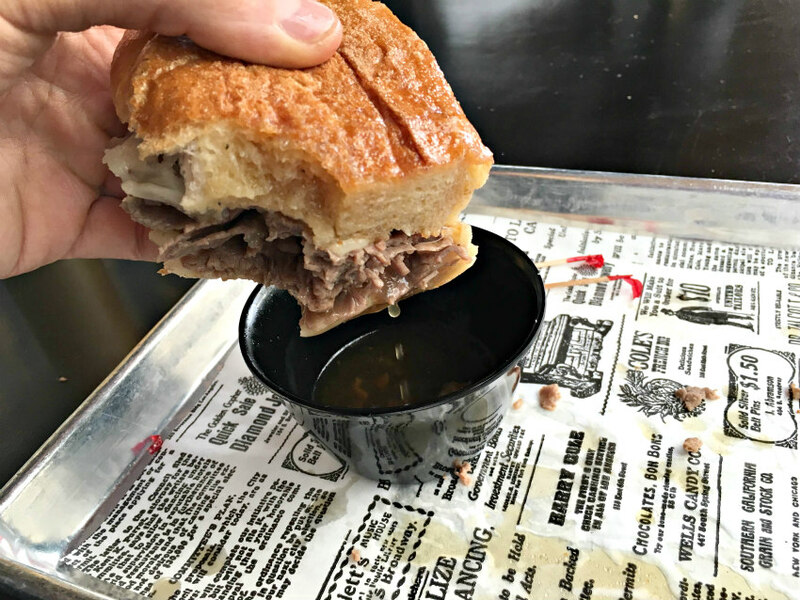 If you were to guess who invented the French dip based on taste alone, you’d go with Philippe’s. No question. 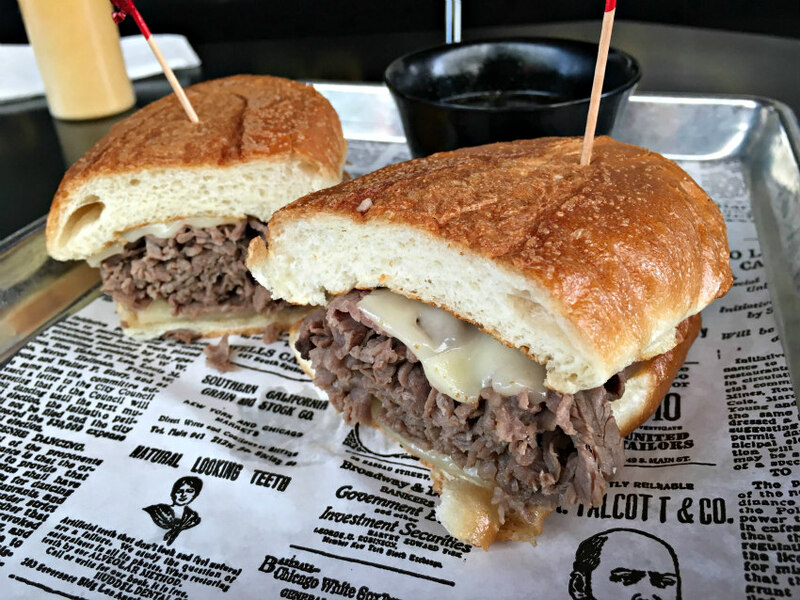 Cole’s legitimately tastes like a cheap imitator—someone who tried to copy the French dip formula but left out all the little things that matter. And, even if you couldn’t decide which sandwich is better (though you totally could) Philippe’s has free parking. That’s the real important thing here. Philippe’s wins, hands down.